In the wake of the Kermit Gosnell “Slaughter-gate” trial (and the appalling disinterest of many), there is a need for Christians to be reminded of our function as a pillar and support of the truth–a reminder of our calling to be salt and light in an otherwise dead and listless world. The post below is a little lengthy for a typical blog post, but it is of vital importance for Christians seeking to answer the question of whether we ought to be “politically” active. Issues of human life transcend political parties. The following principles are derived from Romans 13. The debt of love the Christian owes to others necessitates a level of involvement with the government. There are at least four ways this obligation to love directs the Christian toward some involvement with government. First, above all else, the Christian is obligated (and delighted) to love God (Matt 22:38). If our hearts are given to love God, will we not wish for His goodness to be on display? Will we not long to see men give him the honor due him? If we are instructed to pay honor to those ordained by God to serve in authority, how much more do we pay honor to Him from whom their authority is derived? The Christian longs to see God honored by all men, including men and women in positions of governance instituted by, bound to, and established ultimately for the glory of God. Our love for God will include a longing to see Him exalted in all aspects of civil life: art, music, education, science, and government. He is worthy of such exaltation by all men. Though the pagan unbelievers will refuse to exalt Him, the church will surely so purely love Him that she will not fail to seek His glory in all the earth (including in the practice of government). Second, the Christian is obligated to express his debt of love to governing authorities. Love for God and love for neighbors means that the Christian loves those in positions of authority over him. This love may take different forms in varying contexts, but it will always mean loving in the biblical sense of the word. Biblical love is a love that honors God above all else and seeks the good of others. It seems to me, in relation to governing authorities, that this love for God and for others will mean confronting governing authorities in areas which they are rebelling against God. Governing authorities are put in place by God. God has a certain standard by which all men (even kings) will be judged. Christians, in their on-going devotion to God, ought to remind leaders of such things—seeking to see God glorified by all men (remember this is why John the Baptist lost his head). In so doing, Christians are loving those in authority. How loving would it be to remain silent while men set themselves on the destructive path of opposing God’s purposes? Rulers in authority are not final authorities. They will answer to God. Pure love will not shrink back from declaring this reality, even as Christ did not shrink from declaring it to his earthly judge, Pilate: You would have no authority over Me, unless it had been given you from above, Jn 19:11. First of all then I urge that entreaties and prayers, petitions and thanksgivings, be made on behalf of all men, for kings and all who are in authority, in order that we may lead a tranquil and quiet life in all godliness and dignity. This is good and acceptable in the sight of God our Savior, who desires all men to be saved, and to come to the knowledge of the truth. “Whether it is right in the sight of God to give heed to you rather than to God, you be the judge.” For their part, Peter and John (just as for Shadrach, Meschach, and Abednego before them) chose to pay homage to God rather than to man when pushed to choose between the two. Love for God must always come first. In expressing such a devotion to the Living God, the men were, to be sure, loving those in authority as well. This brings us to the third obligation of love bearing upon participation in government. Namely, Christians owe their fellow man a debt of love. This, I believe, is incredibly important. Primarily, this obligation concerns the right handling of the word of God. The Christian must be serious about proclaiming the gospel to the uttermost regions of the earth, including to the neighbor next door as occasions permit. Gospel penetration is the means by which God is glorified and His laws are kept. This obligation of preaching the gospel is primary and fundamental for the faithful Christian; this fact, however, is no final proof that the matter ought to end there for the Christian. Christians love their fellow men and must not wish harm to come to them. Christians—as the pillar and support of truth—must seek good for all men. The best good, of course, is Christ Himself (hence our preaching). But are there not other legitimate goods for which Christians ought to work very hard? 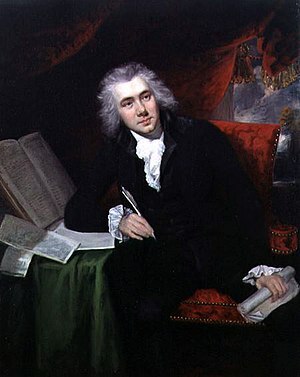 In a former generation of English Christians, William Wilberforce gave his life to see slavery end in England. With a firm conviction that the glory of God was at stake in the practice of enslaving humans as chattel property, Wilberforce with John Newton and others devoted their energy to ending such an evil practice, a practice that denied slaves their status as being created in the image of God and insisted, instead, that they were more nearly related to the beasts of the jungle than to the Living God. Should Wilberforce have sought election to parliament? Ought he—under the debt of love—to have been so politically active? In seeking to see slaves free, did Wilberforce and Newton subject the gospel to enslavement by a political movement? No, they did not. Rather, because of the gospel, they began a political movement and stayed with it to the end that men were set free to the glory of God. Slavery was ended in England, and the movement was fueled for its fight in America. “Carey admonished would-be missionaries that they should ‘take every opportunity of doing…good’ to the people among whom they intended to serve. As we have seen, Carey never forgot that his primary mission was to proclaim God’s redemptive message of salvation to lost sinners. This did not mean, however, that he lived out his ministry in a ‘gospel ghetto’ sequestered from the real hurts of humanity or the structural evils of Indian society. Quite to the contrary. [sic] Carey and the Serampore missionaries threw themselves into social reform activities precisely because their commitment to Jesus Christ compelled them to do so,” (George, Faithful Witness, 149). Carey found that his conscience would not allow him to remain silent while human beings were being slaughtered needlessly. God’s image bearers were cast out, destroyed, and discarded with little regard. This disregard for humanity was particularly acute in India in the practice of sati, a ritual in which a new widow would be burned alive with the body of her deceased husband in an effort to assure the blessings of the gods over the family. Rather than shrinking back from this gruesome culture, Carey investigated the Hindu scriptures and showed the governing authorities that such practices were not mandated. He publicized and spoke out against all of the cruel practices because of his debt of love. What ought he to have done? What about us? Like Carey, we must maintain the priority of the preaching of the gospel. About that, there can be no doubt. Did Jesus Himself not do more than preach the gospel? Did He not also live it? Did he not challenge authority where it was putting burdens on people too hard for them to bear, as in Matthew 23:4? Biblically speaking, love—along with the biblical imperative to do good before the government—calls the Christian to speak the truth, challenging authorities when they oppose the will of God and taking up the cause of the oppressed, the widow, the orphan, the elderly, the unborn. We might wish to think it more sanitary and acceptable to God not to intermingle the gospel with government, but government is God’s idea. And I wonder what our silence might say? When, as the people of God, we say nothing to the world as they slaughter infants and quietly murder the elderly, what are we saying? It is often said that silence is golden. Might it not also be deadly? Finally, the fourth debt of love taken from Romans 16 is the love we owe to ourselves. Love, by its nature, is given over to another. Yet, as when Jesus gives the greatest commandments to love (Matthew 22:37-39), the commandment to love is predicated upon the reality of self love. Self love does not have to be nurtured as does love for God and love for others. Self-love simply needs to be transformed and enlarged. We have love for ourselves from the beginning of our lives. What we need to learn is how our love for ourselves involves others and, more importantly, God. Can we understand the joy of love if we fail to express it to the watching world? The practical rewards of loving others are not to be overlooked. Showing love to women seeking abortions makes a better life for us. When we exercise the above mentioned “loves” properly, we are properly loving ourselves and gaining a better life for ourselves (and for our neighbors). As John Jefferson Davis puts it, “Civil laws that are consistent with the teachings of Scripture point society to a higher standard of righteousness, which is fulfilled only in Jesus Christ. Such laws remain a worthy object of Christian concern and social action,” (Evangelical Ethics, 26). For these reasons, which I believe are biblical, I cannot imagine that we can withdraw from the political process entirely. I do not think that would pay proper honor to God’s established authorities over us, and I do not think that it would at all honor God. Rather, I think the work before us is to determine what shape our involvement with those in authority will take. What are the best ways for us to be involved? We are in a position in which we must help our people think through these issues and understand them biblically. Silence is not an option. Neither is withdrawal. I understand that we must be careful to preserve the primacy and supremacy of the gospel. Indeed, I believe the message of Jesus Christ—the gospel—has everything to say to culture in disarray. In all things, I know that we must exalt Christ and glorify the living God. So, my prayer is that we will work together to do just that—to do good and to fulfill our debt of love. The Family Research Council is calling on Christians to pray for those who are filing lawsuits against the Health and Human Services mandate. The mandate—which is part of the Patient Protection and Affordable Care Act (Obamacare)–states that all employers must provide “preventative” care to all women. The word “preventative” must be put in quotes because the Obamacare definition of the word is misleading. When it comes to providing contraceptives in healthcare, the word preventative is a reference to preventing pregnancy, right? In Obamacare, the meaning of preventative is twisted like a Chinese acrobat to mean preventing children from being born. The HHS mandate in Obamacare calls on all employers (Christian, Muslim, Roman Catholic, Jewish) to provide both contraceptive drugs and abortifacient drugs. Contraceptive drugs prevent babies from being conceived (preventing pregnancy), while abortifacient drugs prevent babies (who have been conceived) from being born. That is an enormous difference and an unbearable burden for the conscientious believer who believes in the sanctity of human life. The Obamacare mandate expects all employers to fund abortion-inducing drugs. President Obama’s view on abortion is extremely liberal, even to the point of allowing infanticide (which is killing or “allowing” babies born to die). Sadly, such views are now enshrined in our law and are imposed upon Christians who run businesses. Thankfully, about thirty Christian employers have filed lawsuits against this injustice. One case (the O’Brien case) has been thrown out by a federal judge who does not believe that providing baby-killing drugs is a substantial burden on the employer. Hopefully, the other cases (like Hobby Lobby and Tyndale Publishing) will fare better in the courts. Some Christians would prefer to stay above the fray, as though there is a pristine approach to living Christianity without becoming embroiled in politics. I think such an approach is un-loving and too aloof to be considered gospel-worthy. We are called to be salt and light. Failing to challenge injustice takes the sting out of our salt and the brightness out of our light. There are three reasons Christians must fight the injustice of Obamacare. First, this injustice defies God. If anything, God is the God of life. He is the consummate life-giver. Every living thing is God’s personal creation (Genesis 1; John 1). Every living creature gets his breath from God (Acts 17:28; Hebrews 1:3). Jesus repeatedly referred to Himself as the life (John 11:25; John 14:6). God is decidedly pro-life. Death is a curse which entered because of sin (Genesis 3); and murder is the work of the evil one himself (John 8:44). Abortion does not prevent pregnancy; it prevents a conceived human baby from being born. It kills a baby. That is not from God. Abiding quietly by the practice for the sake of not “being political” is cowardice in the face of innocent children being slaughtered. Second, Christians must fight this ungodly mandate for the sake of the 3,000 souls which enter eternity every single day through abortion. Phil Keaggy wrote an apropos song which simply asks, “Who will speak up for the little ones?” If not Christians, then who? Those who know the author of life must speak for the little ones who do not yet have a voice. Third, the view that Christians should not engage in political issues fails to understand the significance of being a Christian in America. Religious liberty is a fundamental (First Amendment) right for Americans, including Christian Americans. Though Christians are to be first and foremost citizens of the Kingdom, we are also—at the same time—citizens of the USA. As a result, we serve as standard bearers for freedom in the world. When freedoms are lost in the USA, they are also lost also in Pakistan, Nigeria, Libya, China, and North Korea. We have a responsibility to the world. If freedom falls here, it will fall everywhere. It is the United States of America which tells the world that people should be free to worship and serve according to dictates of their own consciences. If we stop telling the world that people should be free, then who else will? The U.N? China? In my opinion, we should be in prayer for those filing lawsuits against Obamacare and its ungodly mandate to fund abortion. We should pray that justice would prevail and that babies would be saved and that Christians around the world would be free to live out the gospel for the sake of humankind. When you read 1 Samuel 22, you can’t help but to think to yourself, “How in the world can Saul be so blind?” Saul, who was appointed king by popular demand of the people so that they could have a king like the rest of the nations around them, confronts the priest Ahimelech about whether he helped David. Ahimelech answers that he did in fact help David by giving him the sword which belonged to him (Goliath’s sword) and inquiring to the Lord on behalf of David, something that he had done many times before. In other words, Ahimelech says that he did for David what any priest would have done for David, particularly in light of how faithful David had always been to Saul. In response to this confession, Saul ordered that Ahimelech and all of his house, along with all the priests at Nob, be killed. Saul commanded his leaders to kill the priests of the Lord, but they would not. They could not. How could they slaughter the priests of the Lord? Unfortunately, a slimy Doeg—an Edomite—was in the presence of Saul, and he was all too willing to slaughter the innocent priests on Saul’s behalf. At Saul’s commands, Doeg, the Edomite, killed 85 priests. Then, he killed their wives and children and their oxen, their donkeys, and their sheep—all at Saul’s command and with his hearty approval. How could Saul be so murderously blind? The answer is simple. Sin was in the heart of Saul. From the time that Saul heard ladies singing praises to David, he became consumed with removing David’s fame (along with his name) from the face of the earth. He more and more became consumed with one thought only: Kill David. So, he moved his armies and his affections from town to town in pursuit of killing David, although David never betrayed Saul and—on three separate occasions—could have killed Saul but did not. The wages of sin is death. Sinful thoughts of wishing David’s fame away (to preserve his own) took root in Saul’s heart and became the driving passion of his life. Murder was all he wanted. The 85 priests and their families were merely nuisances to Saul along the path of his murderous way. We find a life lesson through the life of Saul, mostly by way of antithesis. Saul teaches us how not to live a blessed life. He teaches us how to move further and further away from God until we end consumed by a particular sin. In the beginning of Saul’s service as king, he showed some signs of hope. He prophesied with the prophets of God. Yet, before long, he took upon himself the task of slaughtering animals for a sacrifice (1 Samuel 13:8) instead of waiting for Samuel, as he was instructed. And, not too long after his unauthorized sacrifice, Saul also refused to execute God’s commands concerning Agag and the Amalekites. Saul was supposed to execute justice over the Amalekites and was told to kill Agag and his animals, but he would not. Ironically, Saul’s life became a pattern of killing those whom he should not kill and giving life to those who did not deserve it. Between the priests of the Lord and Doeg the Edomite, Saul chose Doeg—a betrayer. The reason he aligned himself with betrayers instead of with the priests of the Lord is that his mind was given over to sinful thoughts. Like Saul, perhaps, we think we can allow sinful thoughts to percolate in our minds with no ill effects, but it simply is not so. The wages of sin (including sinful thoughts) is death. Saul’s mind—more and more—became tainted because of the sinful lusts in his heart. As sin took root, disobedience inevitably followed. As sin and disobedience became the pattern, Saul’s judgment became less and less astute. Eventually, not only was Saul unable to discern good from evil, but he actually began exchanging evil for good, thinking that slaughtering priests and their children was a good thing. It would be so easy to slide into a condemnation of Saul, but let us rather learn from him for our own good. Disobedience begets dullness of mind. Sinful thinking leads to ungodly thinking, which leads to a lack of moral discernment. The pattern is plain in Romans 1: God gave them over to a depraved mind. In his example in Romans 1, Paul concludes with the example of people who can longer distinguish male and female (Gender confusion). In the example of Saul, we see a man who cannot discern rightly between a betrayer and the priests of God. In an example from our own culture, we will not be able to execute Major Nidal Hassan (the Ft. Hood shooter) or Jared Loughner (the Tucson shooter) without a major uphill battle against political groups and media elites. Instead of executing him for murder, we celebrate Jack Kevorkian as Dr. Death. And yet, we tolerate killing innocent babies—53 million of them—as long as we do it before they get completely out of the womb (although in some cases even that has been acceptable to some prominent Americans). You wonder how we could ever get to the place in which we can’t see that murderers should be executed but babies should live. thrown, cast, or cut.” (Section 2 of the Humane Slaughter Act, 7 USC 1902). concentrated salt solution, which the unborn child inhales as the salt burns her skin. The reality is that abortion causes pain before it causes death. For a full summary of legislation related to fetal pain, see this page. Or, if you want to read a summary fact sheet on the pain that infants feel while in the womb, see this page. Today, there is a nice article from Mona Charen detailing the rotten fruit of infanticide that is a reality of the abortion industry. Read this timely and significant article here. Shifting gears a bit in the abortion, I want to move downstream to the conversation about the fruits of abortion. Often, we judge decisions and directions based on the fruits they produce. We say the verdict is out until there has been sufficient time to assess whether the net result of the decision was a good one or a bad one. When it comes to abortion, I have no hesitation proclaiming that this was a bad decision; the fruit tells the story. Mother Teresa once famously quipped, “If a mother can kill her own children, then what can be next?” This line of questioning has proved most appropriate in the case of abortion. Three decades ago, Francis Schaeffer and C. Everett Koop saw the same problem Mother Teresa saw. When they wrote Whatever Happened to the Human Race, Drs. Koop and Schaeffer warned that abortion would be simply the beginning of a long line of destructive behavior. If a human being (at any stage) is expendable, then the obvious conclusion is that human beings are expendable. They predicted–and we have seen fulfilled–the logical consequences of a devaluation of human life. In Koop and Everett’s day, the main fears were that we would begin practicing euthanasia on the old and weak (as in Terry Schiavo’s case) or that we would allow the practice of infanticide (allowing babies to die as in the Obama IBAPA). We have surpassed this rotten fruit by now allowing the creation of human entities for the expressed purpose of destroying them and harvesting their stem cells for academic research. We have allowed experimental cloning for the sake of research. We not only embrace abortion, infanticide, and euthanasia, but we also applaud as heroic efforts to allow doctors to kill patients, in the practice known as Physician-Assisted suicide. And this is just the tip of the proverbial iceberg when it comes to the fruit abortion has born. Abortion may end a pregnancy, but it gives birth to a Pandora’s box of societal ills. Barack Obama is clearly the most ardent sort of pro-abortion advocate. The record shows that he was instrumental in defeating the Infant Born Alive Protection Act while a state senator in Illinois. He has said that people are lying and misrepresenting the facts about his position, but the documents are on the table for review. I have linked here to the NRLC compilation of all the bills and articles related to Obama’s role in killing a bill that would have protected babies who were born alive after failed abortions. He was afraid to offer protection for these babies, preferring rather to allow them to die slowly from neglect than to give any kind of support to the view that babies in the womb deserve protection. This is why he could not answer Rick Warren’s question, “When should babies get human rights.” Such questions are above his pay grade, but, apparently, he was paid enough as a state senator to decide that babies should not have human rights if “accidentally” born alive. Fact check all the documents for yourself. For a single article documenting the entire conversation, click here. 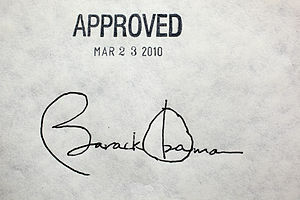 For a review of the material from the independent Fact Check.Org, click here.